seriously 16 to 40 year olds by funding and organising special days. motor neurone disease, cystic fibrosis, organ failure and the later stages of multiple sclerosis. All applications must meet the Foundation's medical criteria and be endorsed by a medical professional involved in the individual's care. The aim of any special day is to offer 'time out' from treatment and allow seriously ill young adults to spend quality time with friends and/or family whilst pursuing an activity they all enjoy. Each special day is entirely of the applicant's choosing and is organised in meticulous detail. The Foundation funds every aspect of the chosen special day. For some, a special day is their last chance to fulfil a dream. For others it is the opportunity to return some normality back into their lives. But for all, a special day creates precious memories for the future. To date the charity has organised and funded more than 5,000 special days. It is the Foundation's aim to offer a special day to every seriously ill 16 to 40 year old in the UK. 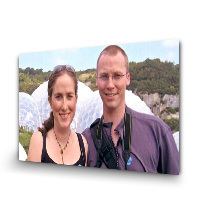 Established by Bob Wilson and his wife Megs the Willow Foundation is a lasting memorial to their daughter, Anna, who died of cancer aged 31. Bob is the former Arsenal and Scotland goalkeeper and popular TV presenter.